One of our best-loved and classic online casino games, online Roulette appeals to all kinds of player because of its simple rules, multiple betting opportunities, and exciting action. The game is easy to learn so you’ll be at the heart of the action right away, but the complex betting system ensures plenty of fun and thrills to keep you entertained. And when it comes to payouts on real money games, the figures are exciting; payouts start at even money for bets such as colour, odds, and evens, but you can receive a payout of up to 35-1 for a Single Number (Straight bet). Boasting state of the art graphics and animations, as well as a reliable gaming platform, you can enjoy our online Roulette games at any hour of day or night, every day of the year; and whether you’re a new or returning player, you can also claim a bonus – such as our 100% up to $/€400 (plus 200 free spins) Bonus for new players - to use on your favourite real money games including various types of online Roulette. Originating in France in the early 17th century, ‘Roulette’ translates as ‘Little Wheel’, describing the layout and mechanism of the game. It all started when a probability student called Pascal created a spinning wheel game that could involve paid bets. The first wheel was numbered from 1-36 with a single zero, but it looked very different to the ones we use today, with numbered pockets for the ball bearing to land in rather than sleek numbered slots. As the game grew in popularity, a few amendments took place; the wheel was redesigned with slots, providing players with a fairer game. When the game travelled overseas to America, a double zero slot was added, and this was the commonly adopted wheel in the U.S., providing additional betting opportunities. By the time the 20th century arrived, Roulette was one of the top casino games in the world. 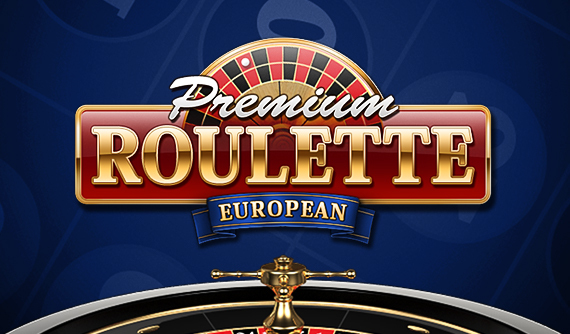 Further advancements were made possible with the advent of modern technology; more games were created, such as Roulette Pro, Premium French Roulette, and Mini Roulette. In addition, progressive jackpots were added, with some of the world’s biggest jackpots up for grabs. And finally, thanks to the internet, people could play in the comfort of their own home for free or for real money. Online Roulette is the fastest, fairest and most riveting way to play, without geographical restrictions or travel costs, so you can enjoy your favourite form of online entertainment at any time that suits you and your busy lifestyle. An exciting wheel-based game, when you play online Roulette, the outcome of the game is decided by a spinning wheel lined with numbers; wherever the ball bearing stops, that number wins, and if your bet includes that number, you receive a payout! Start by placing your bets on the clearly marked table on your screen. This table displays some of the bets available to you, but it is impossible to show every bet, as this would make the betting table far too confusing. Hover over different areas of the table and you’ll see more betting options will be highlighted. Our software can help you make your selection; it will show you what numbers are included in a bet such as a Corner bet by highlighting those numbers and also displaying the payout amount if that bet wins. To place your bet, click on the chip denomination you wish to use and then click on the area of the table that corresponds with your preferred bet or bets. Each click adds one chip, and if you make a mistake, you can hit the Clear button. When you are happy with the bets you have placed, hit Spin. The wheel will turn, and the number it lands on determines whether you have won a payout. Our software will highlight all winning bets on the screen and pay any winnings due to you directly to your bankroll. The following tips are designed to help improve your time at the wheel and enhance your overall experience as you play at our online casino. Manage Your Money: When you play real money games, it doesn’t matter what stake level you play at, you need to make sure that your bankroll is maximized at all times. This means choosing games with the right stake levels, betting at the correct level to make your money stretch further, and also having a plan for your winnings – keep your bets low and your repetitions high for the best chance of winning. Also balance your bets evenly so you are more likely to reap some rewards. Learn The Rules: You might be itching to play, but it will benefit your game immensely if you take a bit of time to learn the games rules first. With online Roulette, you have many different types of bets you can place, and you can place multiple bets also – studying these before you spin the wheel will help you to make informed choices, widen your spread to improve your chances of winning, and make the overall game much more fun. Choose Your Bonus Wisely: Casino bonuses are designed to boost your bankroll so you have extra funds for playing your favourite real money games. Available for all types of player, both new and returning, bonuses come in many guises – these include reloads, games bonuses, match bonuses and our current 100% up to $/€400 (plus 200 free spins) Bonus available to new players. However, make sure you read the terms and conditions before you sign up; you need to know that the bonus suits your game choices and the way that you play. You will see these buttons on your computer screen when you play our online Roulette games; this overview is designed to help you understand what they are for, so you can go to the wheel informed and ready to play. Cashier: the area for making deposits and cashing out your winnings. Clear Bets: if you have made a mistake while placing your bets, this button can be pressed before the wheel is set in motion. It will clear your bets so you can start over again. Play For Real Money: this option will give you the chance to switch from our free games to our real money games. Click this to open an account and play for the chance to win real money. Rebet: click this button and the software will automatically duplicate the last bets that you made, at the same stake. You review the bet, then hit spin to set the game in motion. Spin: hit this button to set the wheel spinning. The small spanner in the top right corner of your screen will also give access to various useful settings options including your game history, general, audio and games settings, and the games rules which are under ‘Help’. This overview of common online Roulette terms will provide you with the basics for your game. Colour: bet on either black or red for the chance to win an even money payout. Column bet: bet on a line or ‘column’ of numbers; place your bet at the far end of the betting table – the numbers included in this bet are clearly shown – for the chance to win a payout of 2:1. Corner: a bet on four numbers; place your chip in the centre corner of the four numbers you want to bet on. The payout is 8-1. Dozen bet: covering 12 numbers, this bet awards a 2-1 payout if the wheel stops on any one of those numbers. High/low: a bet on half of the possible numbers on the wheel – either 1-18 or 19-36 – for even money. Line bet: bet on any six numbers (two rows of three on the board) for the chance to win a 5:1 payout. Odds/even: bet on the number at the end of the wheel spin being either odd, or even for an even money payout. Split bet: bet on two numbers; place your chip in the centre line of your two chosen numbers. This pays out at 17-1. Straight bet: the biggest paying bet – correctly predict a single number and you’ll receive 35-1. Street bet: bet on any three numbers in a horizontal line for an 11-1 payout. Triple: another 11:1 payout, only this time for a bet across three numbers. To get started at the real money online Roulette tables, click on Play for Real Money and hit Create Account. Complete the web form that you see on your screen by providing the requested details – these are required for security and identification purposes and are essential for your account to be activated. Read the terms and conditions, click the Agree box, and hit Create to activate your account. The only step left is to make a deposit to fund your bankroll. To make your deposit, log in and go to the Cashier. Select the deposit method that suits you and then click on it, specify how much money you want to deposit into your bankroll, and then follow the on-screen instructions from your chosen provider. When the transaction is complete and the money shows in your bankroll, you can hit the real money tables! We have over 300 games for you to choose from, with a range of exciting game variants and progressive jackpots on offer - and remember, you can also boost your bankroll with a special online casino bonus. Check out our Promotions page for all our latest offers, or sign up to receive promotional emails and get the latest personalised offers direct to your inbox.